Engineers apply creative reasoning, science and maths to real problems. On this UNIQ course you will have the chance to sample the sheer scale of the application of engineering science, from robotics to uses in medicine and transport. 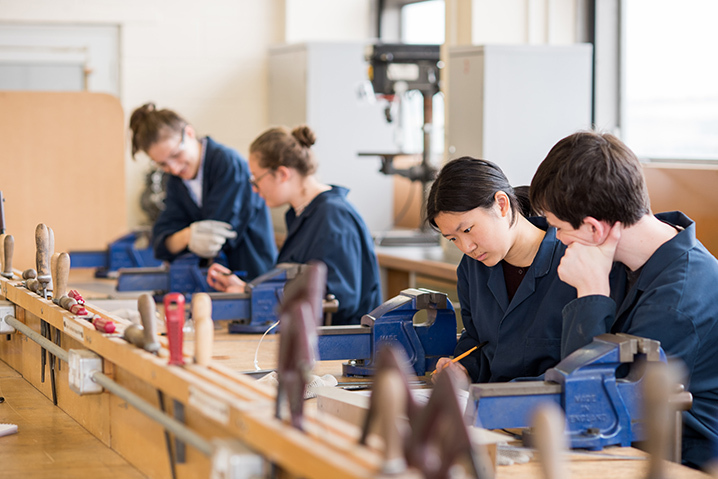 Based in the Department of Engineering you will experience lectures, practical lab work and group activities. There will be a chance to learn about the engineering principles of a topic, and then have an exciting chance to put the theory to the test by designing, prototyping and then testing the build-work you have done. From driverless cars and engineered prosthetics to tidal turbines for capturing clean energy and novel wireless communication techniques, participants are exposed to the breadth of possibilities that a degree, and career, in engineering can offer.